Middle of the night reading for quite some time now. 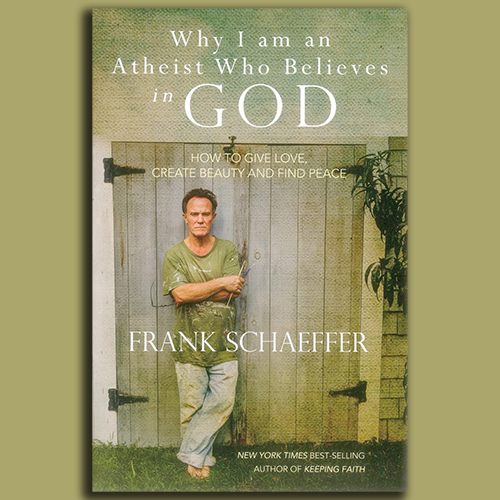 For those not familiar with this bold author, Frank Schaeffer began as a popular evangelical author, filmmaker and personality. His disenfranchisement with western Christianity in the 1990s was quite a blow to the establishment. He later became an Eastern Orthodox Christian and liberal Christian author and TV personality. This book discusses the huge tension between doubt and faith through a very personal, honest testimony. Mr. Schaeffer delves into his genuine problems with the church and perceptions of God, but he pokes holes in atheistic movements by discussing the need for meaning and the purposes of beauty – all of which point to God in his experience. This is an easy reading book. He doesn’t approach either perspective though apologetics, but rather by sharing stories about his grandchildren, artists, and the ways he has experienced forgiveness and love. His conclusion is inviting, refreshing and sincere; not with rigid dogma.